Released in Collaboration with SlyVinyl! After coasting on the unprecedented local success of their debut album for 53 months, Way Yes make a triumphant return with their sophomore effort, Tuna Hair. And never has a band slumped so aggressively. With lyrics that will ruin your day and rhythms that will make your night, Tuna Hair sees Way Yes reaching for new musical highs while still obsessing over life's lowest blow. After years of writing, recording, and producing, the Way Yes boys were so creatively drained and yet so financially fulfilled that they decided to just shelve the album for easier pursuits. That's when they received a blocked phone call from a Gold Robot Records talent buyer practically begging the band to let his label release the masterpiece. Way Yes agreed with one condition, two words: Digital Only, my dude. In an interview, Glenn from Columbus, Ohio band Way Yes commented on the decision saying, "It was a no brainer. One album, Zero merch. Those are some numbers I can crunch". Sure, Tuna Hair will have every listener taking off their headphones and quietly saying to themselves, "That album made complete financial sense," but the album has a lot more to offer if you're in the mood. 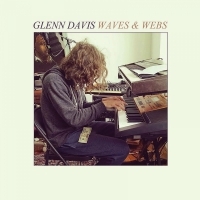 "It’s been years since we’ve heard from Way Yes, the Columbus combo known for their ebullient yet melancholy explorations of Afropop, indie-pop, and Merriweather Post Pavilion-style electronics — though we did get some solo tracks from co-frontman Glenn Davis last year. Now the band is set to follow up 2013’s Tog Pebbles with one last LP called Tuna Hair. The new album is out next month, and today Way Yes are sharing its opening track, “Dead Ringer.” Travis Hall, the group’s other songwriter and lead singer, penned this one, and as far as I know it does not allude to fellow Columbus music great RJD2’s classic debut album. Instead, it’s an intensely lovely bit of synthetic ’80s-indebted pop that chugs along with purpose while conveying a deep sense of wistfulness." "(B)eautifully, the track comes underpinned by something akin to autumnal poignancy, the vocals a little faded at the edges, losing their colour a little in the new season but still glowing in their own unique way. The guitars, those guitars, remain at the forefront of it all, the beating heart that keeps the whole thing moving forwards, forceful and then lilting sumptuously in the quieter moments that drop in and out. Rich and radiant, Dead Ringer makes for a captivating return, one that we’d nearly allowed ourselves to forget about, while quietly pining for all along. Breathe it in." "Way Yes didn’t necessarily set out to make a feel-good album about death, but that’s just what the group did, using hypnotic, major-key melodies; world-music rhythms; liquid guitar licks; slippery synthesizer, and chirpy samples to make off-kilter pop that feels steeped in the precarious nature of life but still manages to celebrate the act of human existence, however temporal it may be."